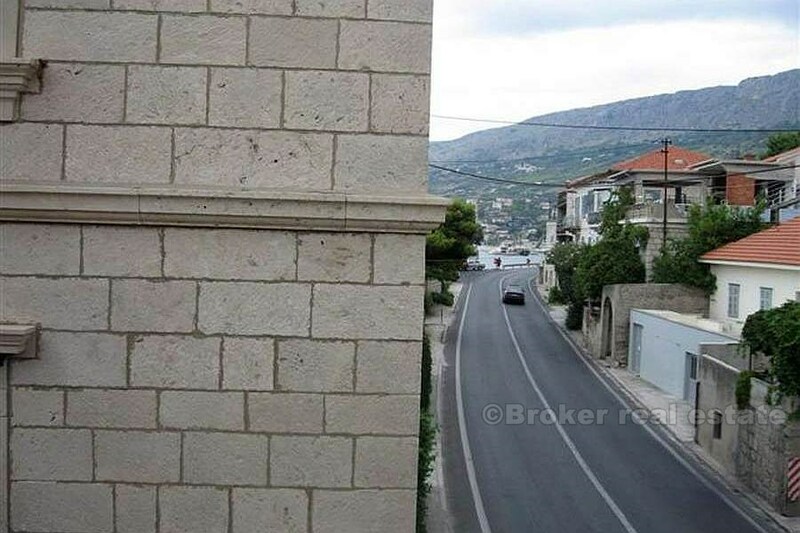 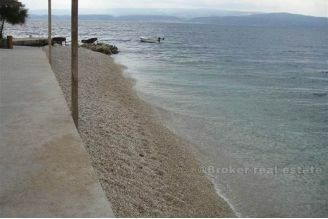 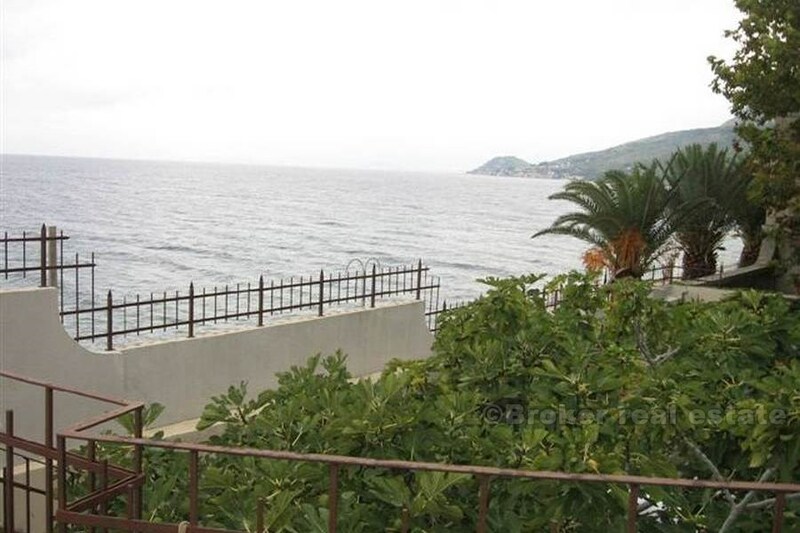 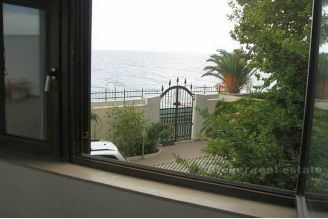 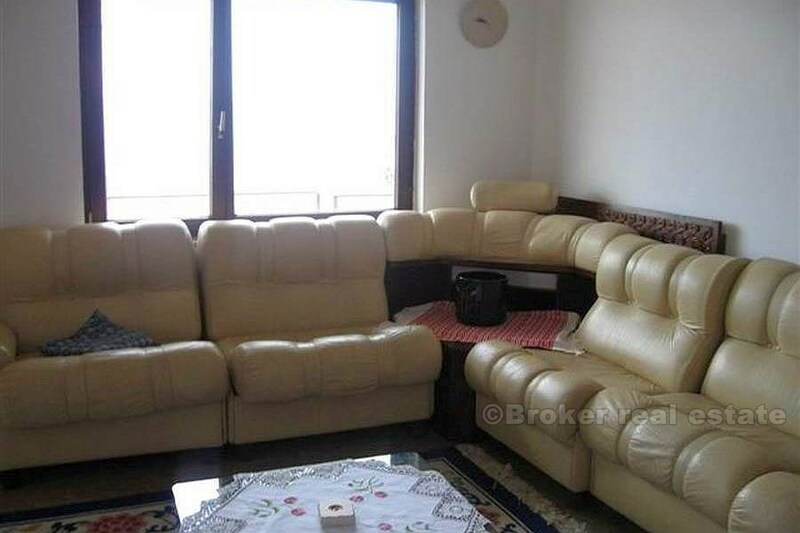 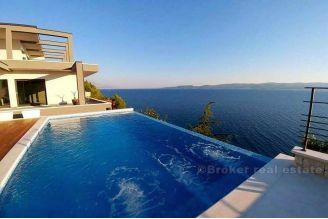 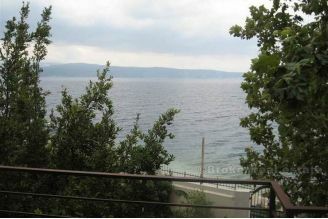 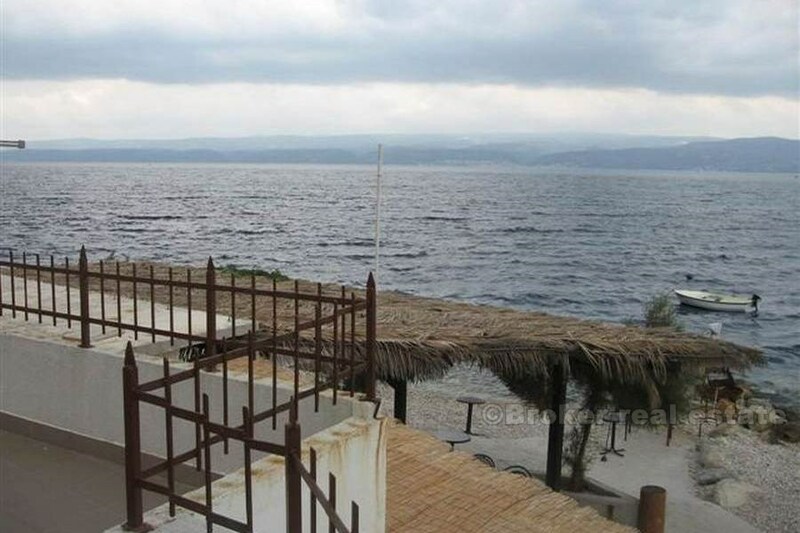 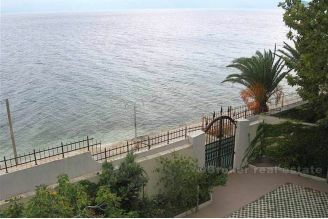 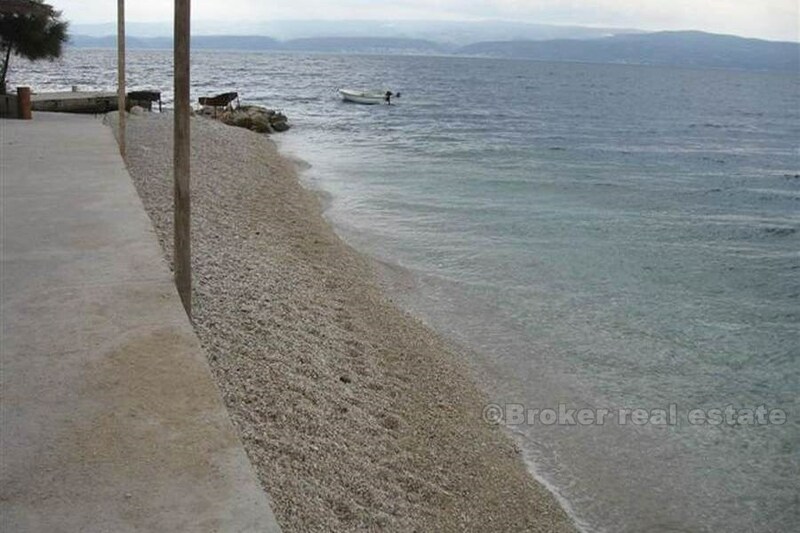 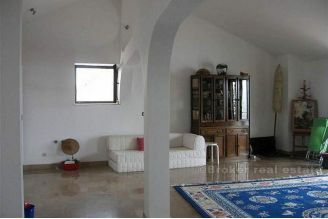 The villa is located in peaceful small town on the road between Split (18km) and Omis (7km). 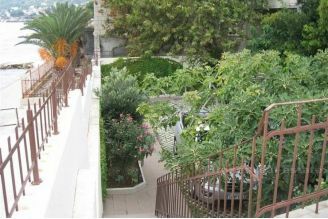 The garden opens directly onto a beautiful pebble beach nine steps from the pristine Adriatic Sea. 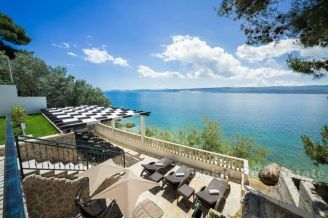 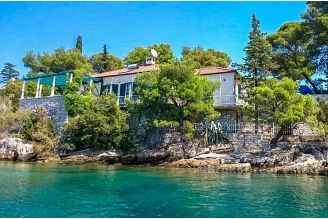 Spectacular 180 degree views of the sea, island of Brac and coastal villages leading to Split can be enjoyed from the villa’s balconies. 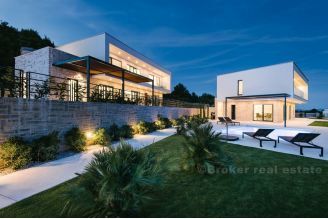 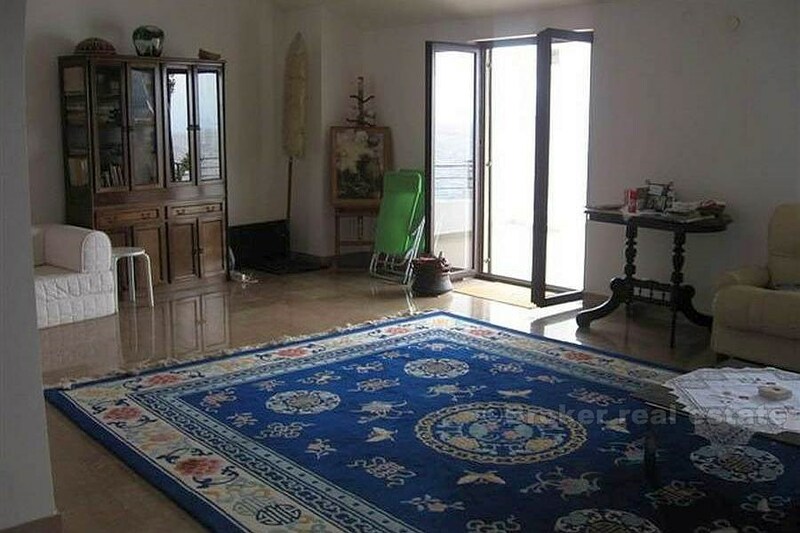 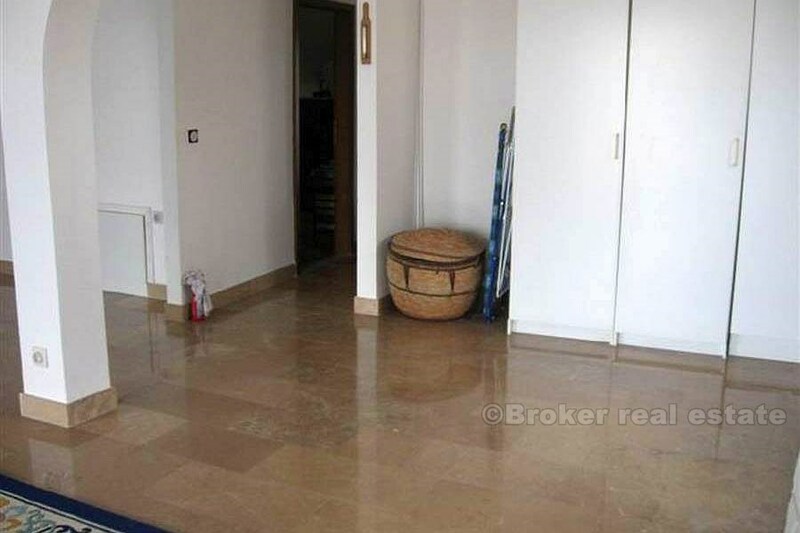 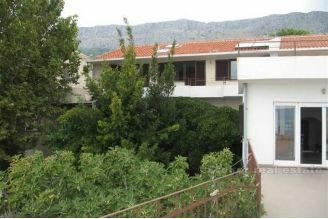 The property has a total area of 865m2 and 215m2 of garden with: 520m2 of indoor living areas; 260m2 of balconies and terraces; 85m2 of garages and ancillary areas. 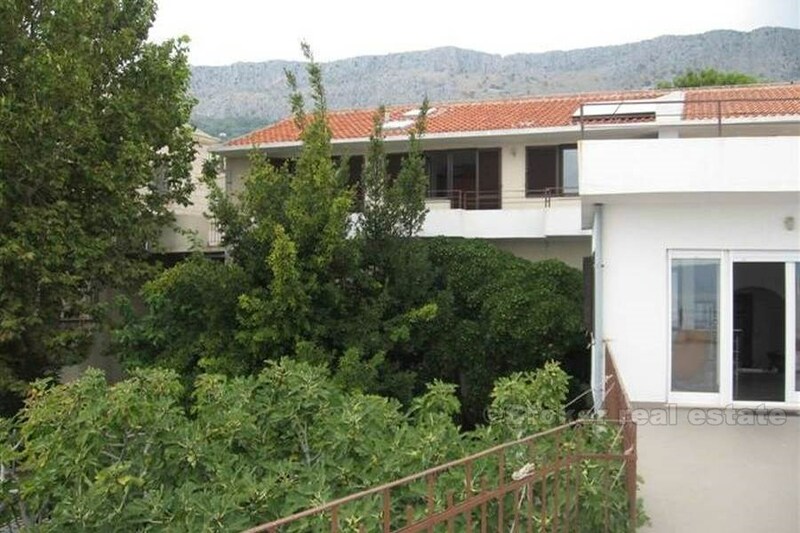 The main building stretches over three floors and can be arranged as a holiday home or small hotel with 12 bedrooms and 1 suite, with the ground floor left to be arranged into different uses: kitchen and dining areas, reception and admin, spa, fitness, gym, billiards etc. 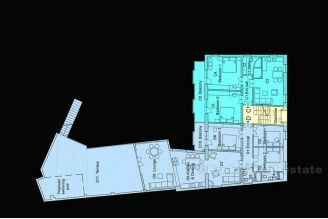 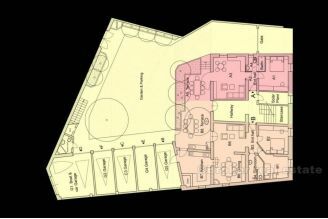 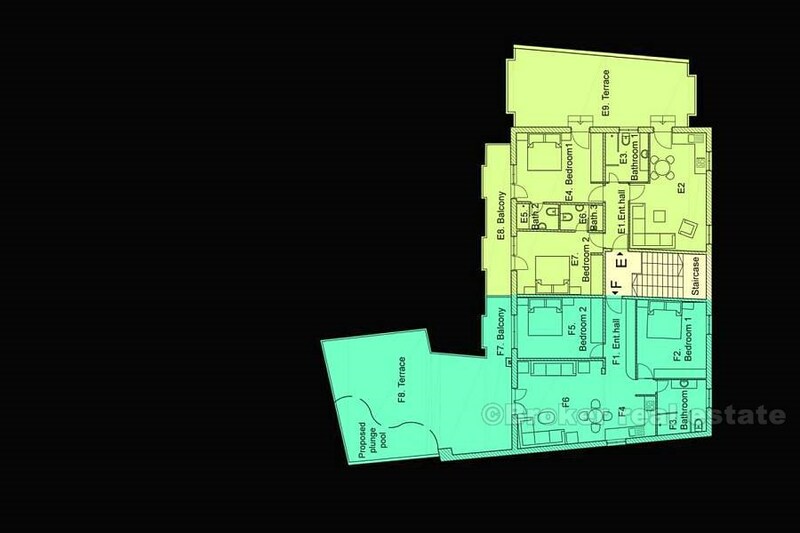 Alternatively, the building was designed to allow each level to be divided into 2 apartments, totalling 6 apartments over 3 levels. 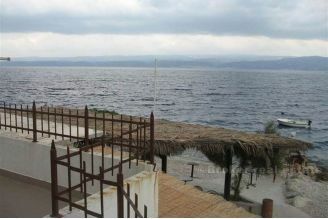 A solar system has been installed with 2 storage tanks, capacity 600 litres, of which one is electrically heated also. Electricity, water, sewage, telephones, TV and intercom have been installed throughout the building, as well as floor heating in the mezzanine and 1st floors. Chimneys have been built-in for future installation of 3 fireplaces, one on each floor. 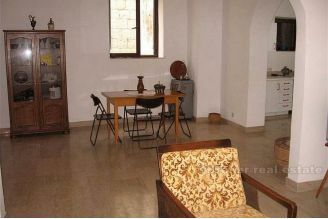 Masonry oven and a BBQ have been built in the ground floor kitchen and terrace respectively. Mezzanine and 1st floor have bedrooms with parquet flooring, bathrooms with ceramic wall and floor tiles, and a marble floor finish in all other areas. 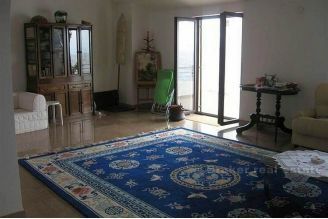 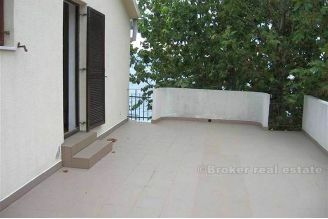 Ground floor areas, as well as all terraces and balconies have a ceramic tile finish. The garages for the car and boat are directly accessible from the main road through the garden, while the boat garage has direct access to the beach and the sea. 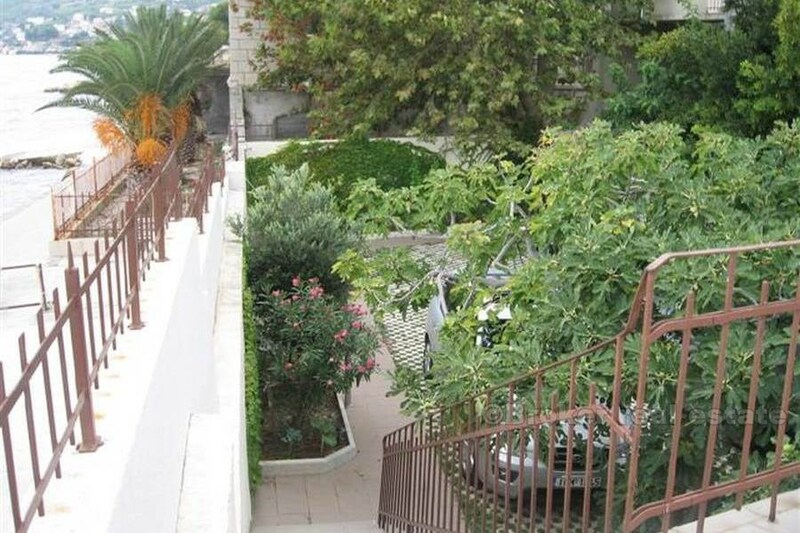 The central part of the garden is covered with white heavy duty hollow tiles filled with grass and there is a parking area large enough for 6 cars. 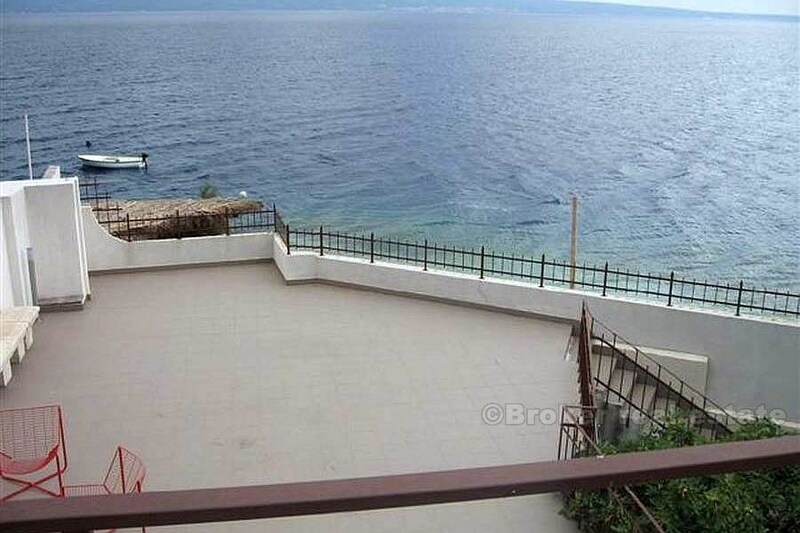 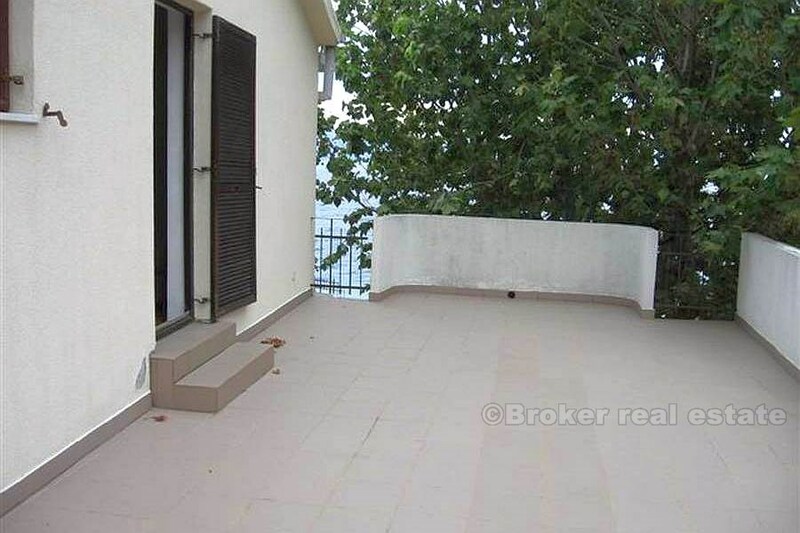 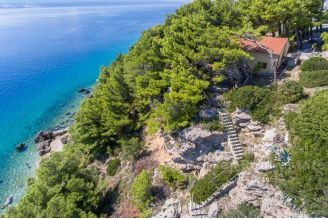 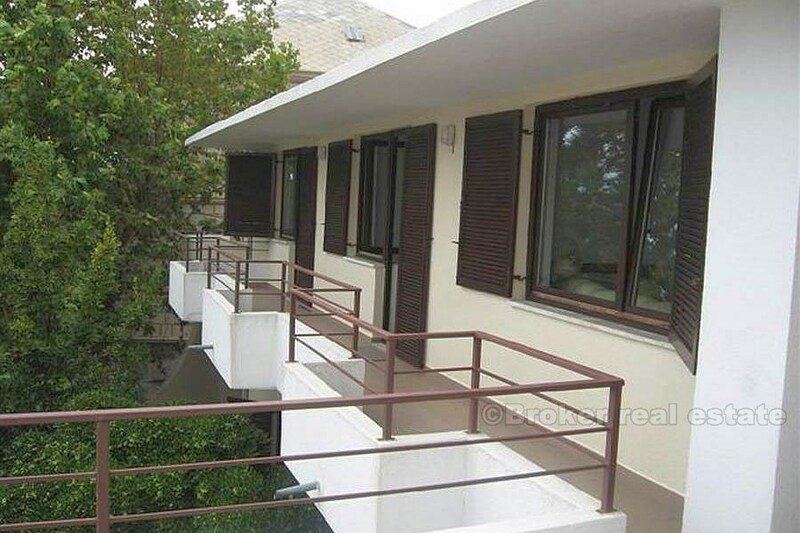 Terraces and balconies on mezzanine and first floor have splendid views of the sea, the island of Brac and the towns along the coastline leading up to Split.